Fire Hydrants – A hydrant sign. 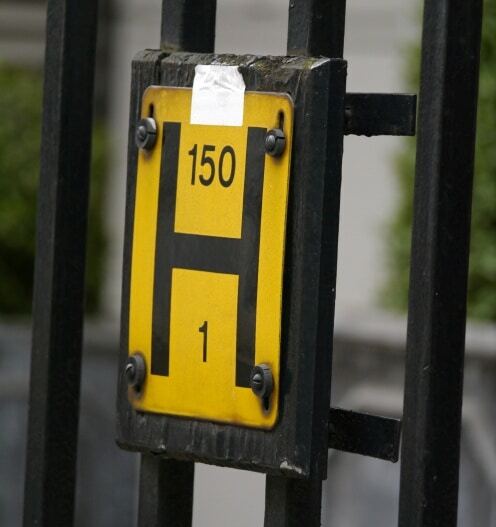 Premises covering large areas of land such as holiday parks, hospitals and universities generally have privately owned underground fire hydrants. Consequently these are used by the Fire and Rescue Service in the event of a fire. MJ Fire Safety work with our customers to ensure private hydrants are working & fit for purpose should they ever be required in an emergency. Generally we recommend that your hydrant is inspected and tested annually. Furthermore we are able to incorporate hydrant testing alongside your annual fire extinguisher maintenance or biannual dry riser test. We carry out static pressure tests & flow tests and check the pit and surrounding area for debris and accessibility. A report is generated confirming our findings along with any associated recommendations. Private fire hydrants on premises which have their own fire team may be sited next to fire fighting equipment. MJ Fire Safety supply fire fighting equipment such as layflat hoses, stand pipe and keys, jet nozzles and branch pipes. For all your fire fighting equipment please contact us for a free quotation.